Do you ever have those days where you start out strong, with a new found determination to eat nothing but healthful foods from now on, only to find your resolve crumbling by about 3 or 4 pm? This is me, ALL THE TIME! So once I've eaten all the sugar my tummy can take, I tell myself I will start again tomorrow! ;) Here is the smoothie I start my healthful days with! And it is gooood! Btw, Have you ever heard of Trace Minerals? They are a company who's mission is to bring needed nutrients back into our diets. My Momma introduced me to them a few months ago and I'm sold! 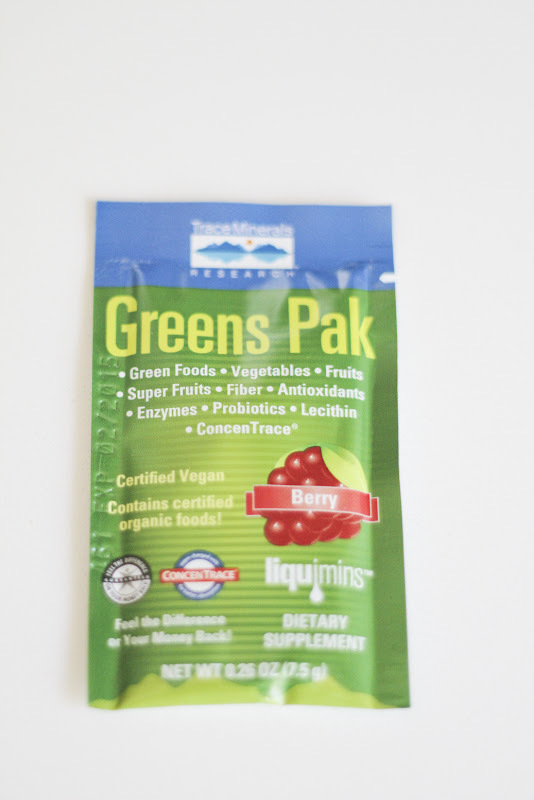 The convenient little pack you see below is nutrient filled! I love that I just add it too my smoothie and I'm getting a supercharged health punch that I wouldn't get eating vegetables and fruits alone! 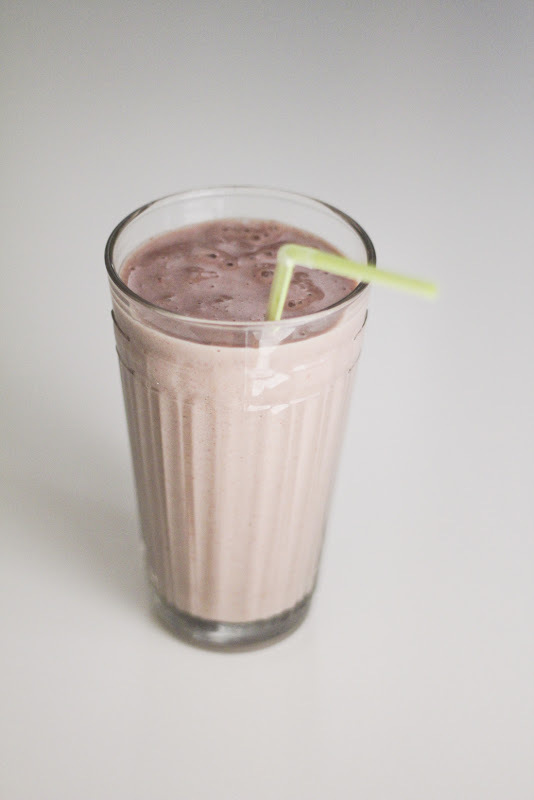 Blend it all together at hi speed in your blender. Pour it into a nice tall glass, add a straw, kick back and enjoy! Looks good!! I need to be healthier!! My smoothies really help me stay positive about eating right. Where do you get your little packets? I love the idea of adding even more nutrition.